There is on-street parking along Berwick Street, Gardner Road (church side only), and Harding Road. 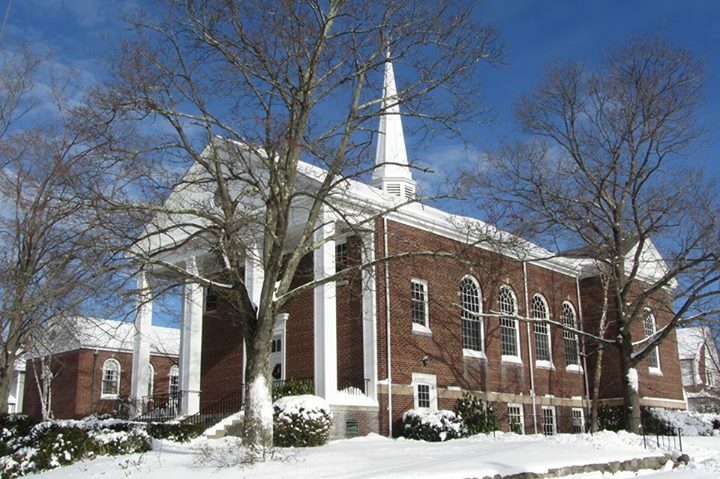 In addition during non-business hours there is off-street parking available at the medical office building at 95 Chapel Street (corner of Chapel Street and Winslow Avenue), which is a short walk to the church. For those parking on the street, please note that, because of the location of the fire hydrant and the end of our neighbor’s driveway, there is no legal clearance to park in front of our neighbor’s house. Also, please note that it is illegal to park in a cross walk. The only parking allowed in the Emmanuel Lutheran Church driveway (which is the right side of the driveway next to the church) is handicapped parking in the two designated handicapped parking spaces at the top of the driveway. Those utilizing either of the two handicapped parking spaces must pull into them using only the right side of the driveway and must exit them by backing down the driveway to the street on the right side of the driveway. Turning around in the driveway is not permitted. There is absolutely no parking on the left side of the driveway or in the neighbor’s parking area. Handicapped access is available using the exterior elevator at the top of the church driveway along the parish hall wing. The elevator requires operation from inside Kask Parish Hall. Please call the Church Office to make arrangements for the elevator to be operated for you: 781-762-9457.